I use Eclipse for Android development and one of the issues I have come across is that sometimes Command-C on Mac (Control-C on Windows) doesn’t work properly. I will copy, but paste will paste what was previously in the buffer, not what the latest I wanted. My previous workaround was to hit Command-C twice which always seems to work. This is a pain, however. 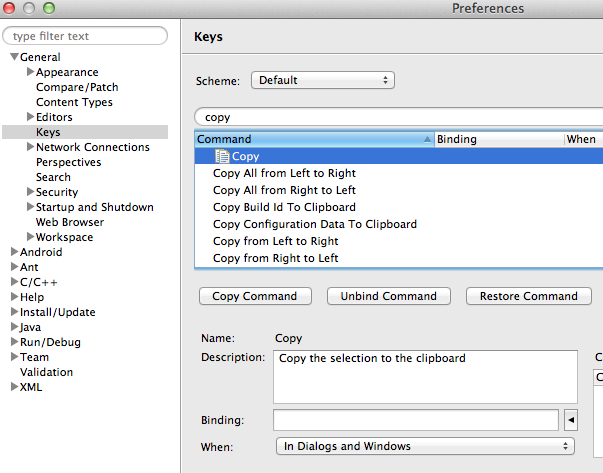 Fortunately I came across this blog post: Ctrl+C to copy does not always work in Eclipse which describes a simple fix: Unbind the copy command in Eclipse. Note that this also applies to the Android Developer Tools distribution, since it is built on Eclipse. 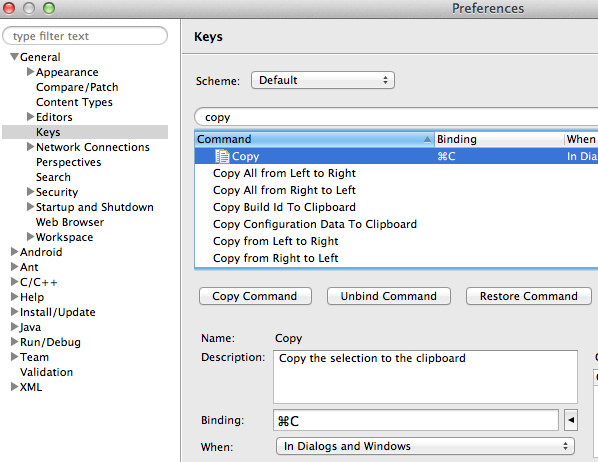 The workaround is to unbind the Copy command in Eclipse. The reason this works is that the native Copy will be used instead.